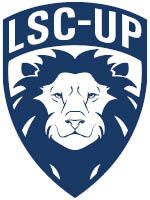 Welcome to LSC–University Park Outreach! The Outreach Team works with schools, community partners and other organizations to promote higher education and to provide assistance with the admissions process. Join us for College Bound Day! College Bound Days are designed to assist incoming students with enrolling at LSC-University Park through a simplified process. During College Bound Days, students can apply for admissions, attend new student orientation and register for courses. Experts will also offer assistance with completing the Free Application for Financial Student Aid (FAFSA). Admissions experts will be available to answer all of your questions. OR, join us August 1 & 2 (1:30 pm - 6:00 pm) and complete the admissions steps in two half days. Click here to request a visit from a representative or to request a campus tour.